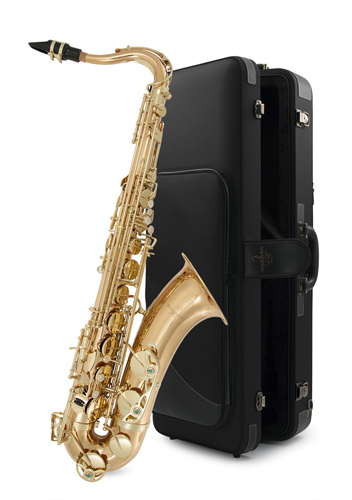 The New Yanagisawa TWO2 range replaces the long standing T902 model.The body is made of Bronze (a mix of copper and tin) rather than the TWO1's brass construction (copper and zinc). This difference in core material affects the tone and the bronze models tend to have a softer, warmer, broader tone than the more direct and punchy sound of a brass TWO1 model. The New TWO2 model really does have some major modifications whilst retaining the classic Yanagisawa sound and feel that have made them so popular. - Yanagisawa are using a different source of brass; the mix and quality of zinc, copper and tin can affect the resonance in particular, much testing was done to ensure the best tonal possibility from a new source of core brass. - The TW range also benefits from a new strengthening plate on the front of the crook, this is essentially to add core weight around the neck area which can result in the player feeling more strength to the sound.